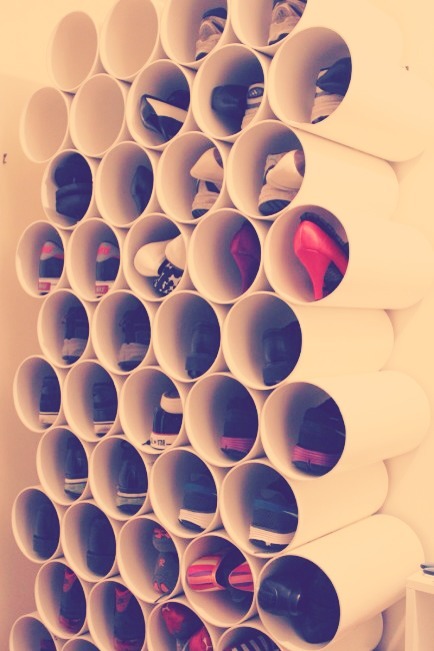 PVC Pipes Are An Amazing Way To Store Shoes! Get some PVC piping and cut it down to equal sizes, fit it to your wall in a honeycomb style arrangement to store all of your shoes. Looks amazing too!